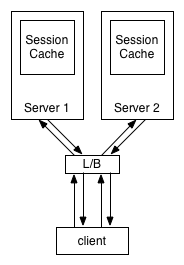 "SSL Session Cache storage "
* but it does not actually store any session. 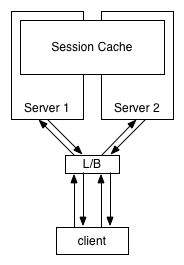 *   -1: fatal error, either from parsing or decrypting the ticket. *    2: the ticket couldn't be decrypted. *    3: a ticket was successfully decrypted and *psess was set. *    4: same as 3, but the ticket needs to be renewed. * Enable CCS for resumed handshakes without NPN. * sure not to re-enable it to ban duplicates. * the client's Finished message is read. 1. This indicates that the ctx and hctx have been set and the session can continue on those parameters. 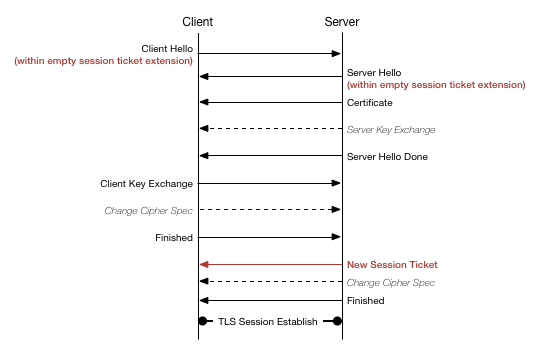 Additionally it indicates that the session ticket is in a renewal period and should be replaced. 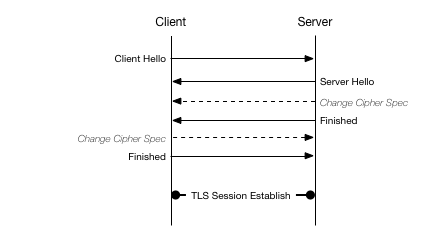 The OpenSSL library will call cb again with an enc argument of 1 to set the new ticket (see RFC5077 3.3 paragraph 2). 2. This indicates that the ctx and hctx have been set and the session can continue on those parameters. 3. 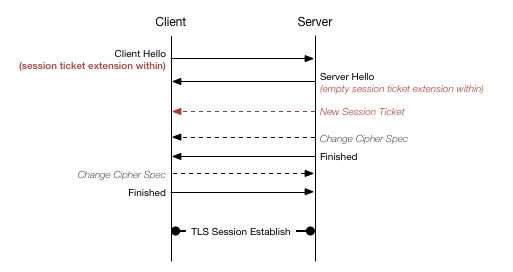 This indicates that it was not possible to set/retrieve a session ticket and the SSL/TLS session will continue by by negiotationing a set of cryptographic parameters or using the alternate SSL/TLS resumption mechanism, session ids. If called with enc equal to 0 the library will call the cb again to get a new set of parameters. 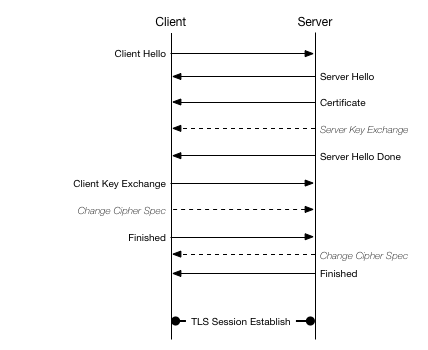 "TLS session ticket encryption/decryption key file (RFC 5077) "
"TLS session ticket key for %s successfully set, "
"TLS session ticket key %s for %s successfully set, "